US aviation entrepreneur David Neeleman has been quietly plotting a new airline, so far unnamed but known in American jargon as Moxy. He’s serious enough to have just ordered 60 Airbus A220s with speculation he could be the first to take them long haul. JetBlue has set 2021 as the start date for its transatlantic venture but has been criticised for being vague on the details – no confirmed airports, products or frequencies mentioned. And 2021 is a long way off. 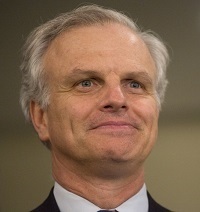 Given Neeleman’s record of starting or having a hand in half a dozen carriers to date, including ironically JetBlue, he is thought unlikely to wait around for long.